If you saw Thursday’s premature post, there is new content here. WordPress, could you add an “Are You Sure?” pop-up when we hit “Publish”? I know I’m not the only one who’s hit Publish instead of Preview! No single topic came to mind for today. Instead, I’ve been flitting between ideas and decided to go with a few random thoughts in magazine style. My apologies to the real journalists among you. In several comments on Tuesday’s post, I mentioned adding some photos to give you a sense of place for my novels. We start with a few photos for Death Out of Time. Much of the action takes place in our time in the northern Virginia suburbs. The book opens with archaeologist Madeleine O’Brien and detective Jack Trainer excavating an 18th century cemetery in an old, overgrown pasture. 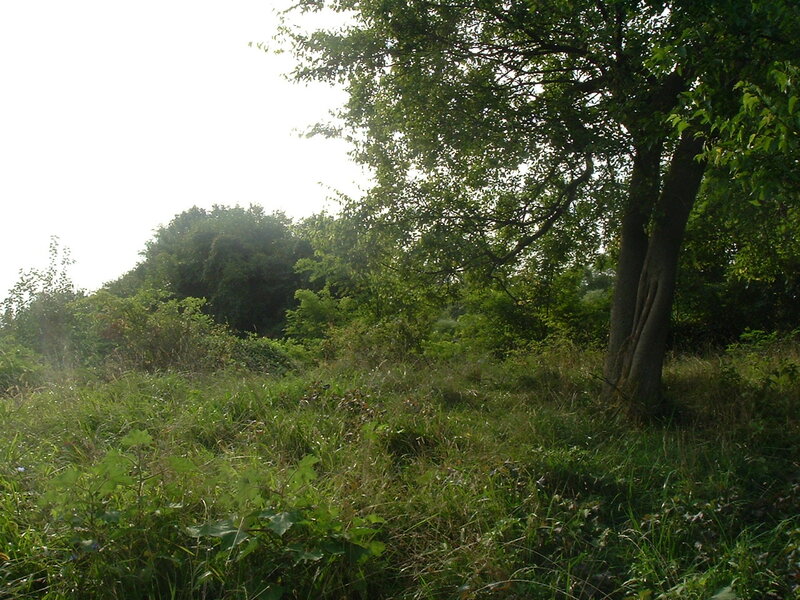 The pasture looks something like this one, although it has fewer trees. Can you guess where the headstones are? Can you find the cemetery in this photo? Madeleine faced a similar setting in Loudoun County. This is what she encountered when the project began in the spring. Are you stumped? That’s okay. It’s a trick question. None of the headstones are still standing. They all fell over and were buried through the years or were removed by farmers to make more room for crops. Madeleine knew the cemetery existed only because it was marked on old maps. 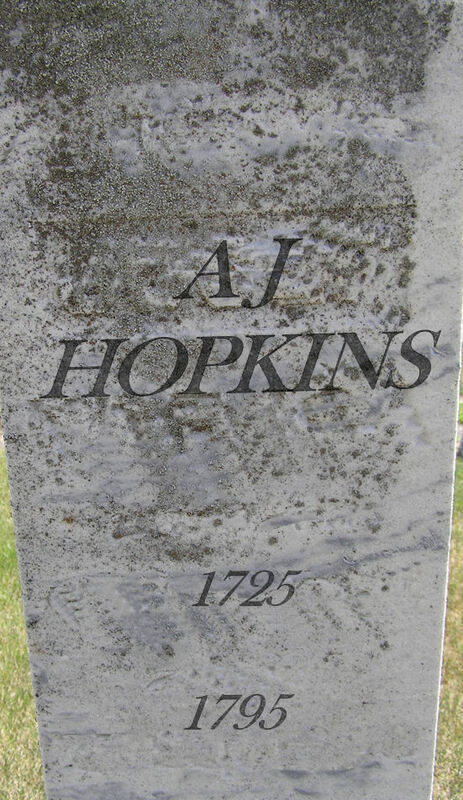 One of the headstones she finds looks something like this. (Please bear with me. I’m not very good with my graphics software.) Who would have guessed it would lead to an unimaginable experience? It seemed like a straightforward cemetery excavation…. In the book, Madeleine also spends time in her lab. It looks similar to many other archaeology labs in universities and in the business world. There, you’ll find an artifact drying rack much like this one. Very basic and inexpensive, but it does the trick. Budgets are usually tight in archaeology. Madeleine saves money where she can, just as my colleagues and I do. 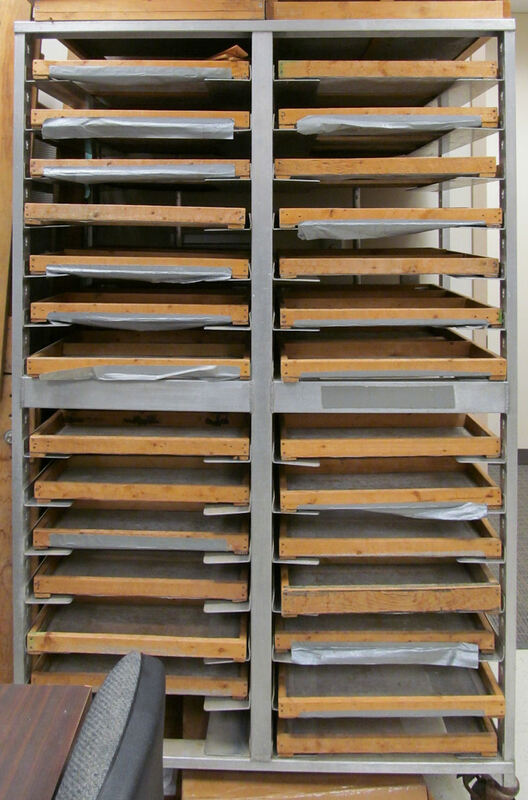 All archaeology labs have something similar to this for drying artifacts after they’ve been washed. In one scene, Madeleine focuses on that drying rack, struggling to maintain her composure in front of her crew. She can’t let on about what’s happening upstairs. Madeleine never thought she would need a good poker face. Jack’s much better at that sort of thing. But when a time traveler drops into her world, an archaeologist has to adapt. And there you have a brief view of some of the scenery in the book. If this experiment gets favorable reviews, we’ll see more of the story’s settings in the upcoming weeks and months. I’m thinking of adding these photos (and others) to the introductory page for the book here on the blog. Tuesday’s post was meant to be tongue-in-cheek. I’m not depressed about my stats or contemplating a summer vacation from blogging. Subtle humor doesn’t always translate well to social networking or the written word. I think that happened here. Rest assured, I will stick to my twice a week posts unless extreme circumstances require changes. I realize budgets are tight for small newspapers. And proof readers are a rare luxury in today’s world. But I think this photo caption from our local paper shows the downside of such cost-cutting measures. It’s worth clicking on the image if you need to in order to read the original caption. I nearly lost it when my husband read the original story aloud. This entry was posted in Archaeology, Death Out of Time, writing and tagged archaeology, editing, fiction, novel, science fiction, writing, writing a novel. Bookmark the permalink. Great pictures, JM. That’s exactly how I pictured the setting in Death, and yes, without so many trees. I love seeing the items in real life in relation to your novel. The images trigger several scenes in my memory, so I think you described these elements perfectly in your novel. I knew your last post wasn’t indicative of anything traumatic. 🙂 We all have to vent. I have a venting post on the horizon as well. Where else better to share your frustrations than with people who are experiencing the same ups and downs. I love that typo in the newspaper caption. That is a riot and great evidence to why we need to not short-change our field. It just makes us look stupid. That photo just cracked me up. The “chiefs” brought a smile to my face. But then when I ran into that missing word…. 😀 What a difference the simple omission of a preposition makes! Bring back proof readers! Subtlety is difficult on a blog. So much of it hinges on frame of reference, and we frequently don’t have the luxury of so many words to set the mood in our blogs. Venting, however, is always good. And, it’s nice to see how many friends came forward to help you feel better…therein lies the real story, methinks! I have a wonderful group of fellow bloggers that hangs out with me here, and I appreciate every supportive, kind, helpful, funny, and educational comment and shared experience you all leave on my posts. I wouldn’t trade any of you for a million site views! I feel sorry for the poor chef! Can you imagine how many people are teasing him about that photo? The accompanying story was fine—no bloopers there. But whoever did the caption really dropped the ball. But as budgets shrink and big conglomerates buy up small papers and cut costs, proof readers have been among the first to get the axe. It’s really too bad. Internet access to news isn’t the only reason people are dropping their print subscriptions. The decline in writing and editing quality plays a role, too, I think. Yes, I agree about the print subscriptions. I think you could come up with some very creative tags on this post to see what happens. That chef’s photo could be more than a funny picture…just a thought! I, too, have grown to love my blogging friends in the short time I’ve been doing this! Oh, boy, I feel sorry for the athletes that are about to be cooked. By a chief, no less! And I’m with you. Can’t WP put an “Are you sure?” alert on the screen when the publish button is hit? So far this post has gotten 8 Facebook shares besides mine. And I’ve got to believe it’s because of that photo and caption. 🙂 If I can give some people a good laugh and smile today, I’ll be happy. And I won’t use people shots. I don’t want to suggest a “look” for the main characters. I want readers to be free to create their own ideas from the few basic cues in the book. I think it’s smart to stay away from character images. As you mention, we readers like to imagine that part ourselves, based on the details the writer has given us. Your pictures are terrific – I was guessing there might be headstone near of under the tree as sometimes trees were planted near graves – or trees grew up on/by graves since that land wouldn’t be cultivated. And that drying rack looks almost identical to one we built to dry my silkscreened greeting cards years ago when I started that company. – Necessity is the mother of invention – those structures work perfectly! It’s hard to see in all this overgrowth, but near the left side of the photo is a “hump” of vegetation that is nasty greenbriar. The cemetery is under that. Some of the trees you see probably stood near a corner of it. None of the stones are standing. This cemetery stayed protected as greenspace, so no excavations were done. I’ve pressed post instead of preview before. It is more annoying that it stays on the reader rather than is removed. I think many of us knew you were joking about the stats on the tuesday post, but the humour doesn’t always come across in the replies either! One presumes that for certain countries, if you do not win a medal you will be visiting that chef. The reader frustrates me more than I find it helpful. There seem to be frequent glitches with it, so I rely on email notifications of new posts. Yes, it makes for a full in box, but I’m less likely to miss a post, I think. Bring home the gold or become the bacon maybe? How’s that for motivation! I’m not a big fan of the reader, it seems to randomly guess how many posts are new. On the other hand I like the notifications page a lot, which is better than the menu version which frustratingly disappears if you scroll down too far. Even more annoying if in the middle of a reply. Poor athletes. I guess that puts a lot of pressure on them to win, lest they end up in a casserole. I can’t tell you how much I want to read your book!!! I just made a terrible (groan-type terrible) joke in my reply to Elliot before you. Yes, no pressure there for the athletes! Oh, my posts are having a desired effect? Yay! 🙂 That’s not the only desired effect, mind you. I may have started blogging because all the writing advice said I should, but I soon learned how enjoyable it is just to spend time with fun and interesting readers and bloggers! But on that note, I’d better get back to work on Draft 3…. Did you get negative comments about the slow stat post? I can’t see why . . .
Oh, no, they weren’t negative. Quite the opposite! Everyone was saying don’t get discouraged and things will turn around. I think folks were genuinely concerned that I was upset about the numbers. But I meant it to be a bit of fun, and I was afraid some people might have missed that. Well – it’s good to know that big blue Publish button gets pushed prematurely by someone other than me! 🙂 And I love the caption, but man will the writer get razzed. That is such a darkly funny/wrong mistake! I know this was my third time hitting it prematurely. 🙂 And at least a couple times a week when I click on a post link in an email notification, I’ll get one of those “post not found” messages. I’d bet most bloggers would like a “confirmation” button! Yes, I saw the Saturday morning post non-post earlier in the week! ; ) My main issue is with hitting publish, then going to the preview-ish page, seeing something, then hitting “edit.” Did you know that this can cause you to lose your photo? Yeah, I knew it… because I’ve done it about five times now. Sigh. Loved the archaeologist photos and teasers on your book. Yes, I’d love to see more of those, if my opinion counts for anything. So far the photos are getting positive reviews. I’ll do some more from time to time and hopefully for the other book, too. I feel bad for the chef, but also for whoever wrote the caption. How long will it be before they hear the last of the jokes? I’ve caught plenty of my own similar errors — like leaving out the “not” after a verb when I want to make a negative statement. That one word does change the meaning! 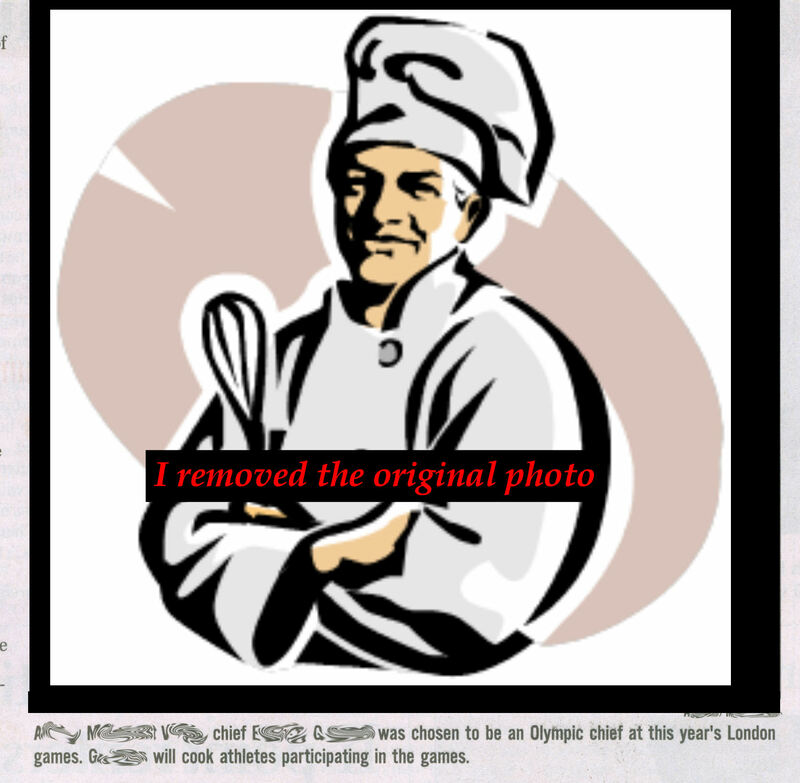 Question are they now cooking Olympians who don’t win a medal? That’s intense competition. 😛 That accidental posting happens to me with the posting when I use the wordpress app. Very annoying. Grrr. All good. I do want to read the book. You are enticing me with pics and teasers. The chef story (lack of such a small word) was delightful. And the “are you sure?” for publishing is noted. Yes, I have done that twice. I’m glad these little tidbits are catching readers’ interest. 🙂 And I am chugging along with the rewrites. A few more scene revisions, and I’ll have the first version of Draft 3 finished. Then it needs editing and polishing before I send it out again to test readers. Hopefully by the end of next month…. Fingers crossed! That newspaper caption was just too funny. I had to cover my mouth to keep from spraying water all over when my husband read it to me. How could I not share that and give people a smile?! I love this, JM! I think it’s so cool you are creating a virtual scrapbook/page for your book. I did something similar and went out last weekend and took a bunch of pictures with the working idea of creating a virtual scrapbook/book page to show readers settings/story, etc.